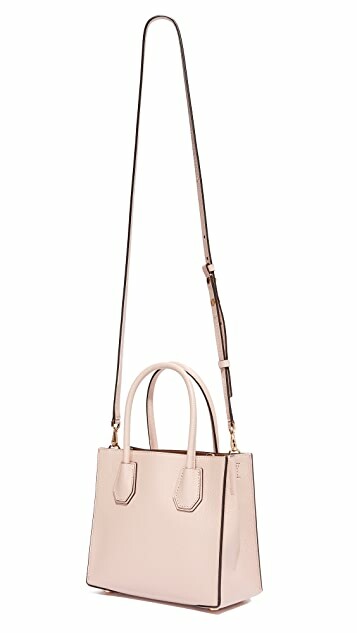 A MICHAEL Michael Kors tote in pebbled leather. 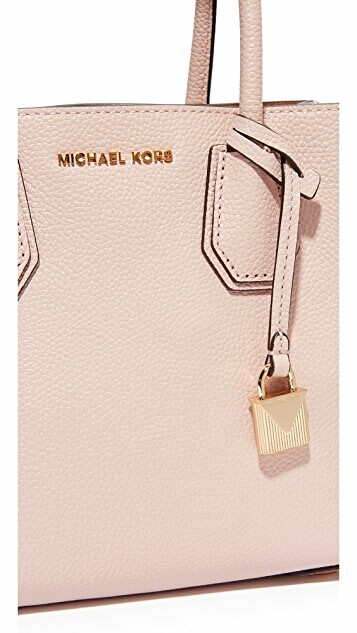 A logo lock charm accents the front. 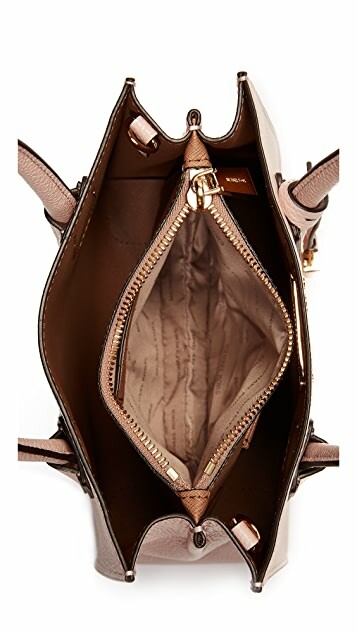 A gusseted, leather-lined interior with a middle zip compartment and 3 card slots. 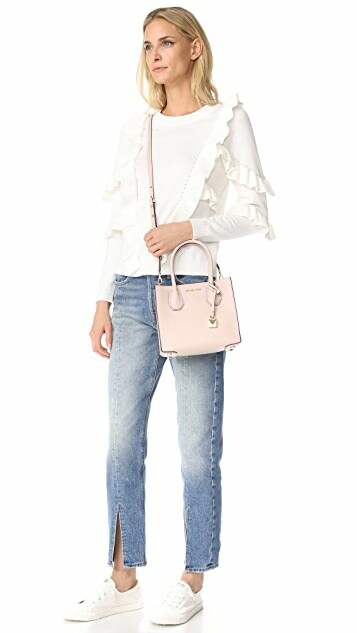 Rolled handles and optional shoulder strap. Dust bag included.